The wait for new life is suffused with all-consuming expectation and desire. 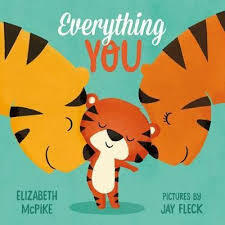 This adorable picture book celebrates the intoxicating love parents feel for their new babies; all the hope, the playfulness, the inexplicable cuteness, all the wonder captured in their babies’ smiles and unique baby ways. McPike’s words sing with profound perception whilst Fleck’s sparse retro animal inspired illustrations are the perfect accompaniment for a story that champions the unfathomable feeling of parental love. Neither picture nor word get in the way of the message of welcoming – you. This is the perfect book to share with your own new arrival. Be warned though, you’ll want to keep sharing it with them well past the nappy stage. 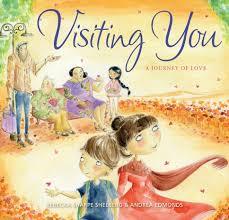 This is a book to share with someone you love, a friend, a sibling, even a parent. Succinct text pairs easily with beguiling ink and water coloured illustrations that smear and swirl merrily across uncluttered pages. It is a story of anticipation – a heart song – calling for companionship. We all want someone who gets us. For young people this desire may represent a friend who likes dressing up, laughing at your jokes, sharing secret dreams or lending a guiding hand when you are feeling lost. 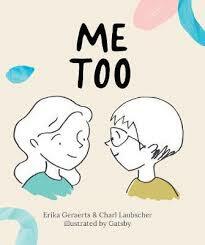 This book examines the points of view of two young friends who are pondering the type of person they’d like to find when they grow up. Ironically, they may have already met that special person, the one who makes their day ‘more fun’. 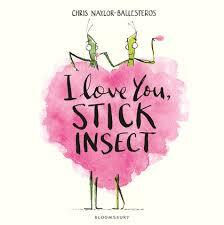 A seemingly uncomplicated ode to friendship and everlasting childhood love that should appeal to primary school-aged readers. From the moment I turned the cover revealing Edmonds’ divine sepia-coloured end pages I was entranced. 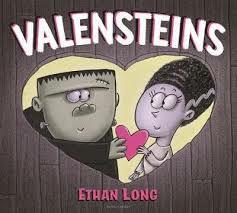 This story, celebrating the immense power of love, possesses an enigmatic quality that hums throughout the book from beginning to end. A young child and his mother set out each day using various modes of transport to visit a loved one. Mystifying speculation as to who this might be and why they need to visit hovers perceptibly in the air all the way to the end. Mama’s wobbly smile suggests these occasions may be tinged with sadness however, this never distracts from the child’s main realisations, that there are commuters on the trains, buses and ferries he catches that share a love for someone just as powerfully he does. I love the message of looking deeper. Of connecting with ourselves through others. Of cultivating empathy; a mindset we should all aspire. Visiting You encapsulates this mindset exceptionally well. Full marks. This is a charming story of self-realisation, friendship and humility. Morgan’s lyrical language glides across each page with infinite grace, a perfect match for Bury’s angelic illustrations. 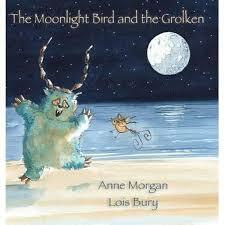 Both tell the story of a mystical golden bird whose captivating presence and song entrance the Grolken. He captures her for his own enjoyment but is enraged to find that imprisonment has curbed her desire to sing. The nearby townspeople storm the Grolken’s cave claiming the bird as their own causing her to plunge deeper and deeper into lassitude. Regretful, the Grolken has a dramatic turn of heart, rescues the bird and sings her back to light until both she and he are free. Love, possession and obsession are close bedmates at times. This tale reminds us to heed desire and do unto others as we’d like done unto ourselves. The feel and tone of this book is 100% wonderful. Brimming with surreal textural images and a savvy little storyline, I give Erik the wolf cub full marks for tenacity and daring. 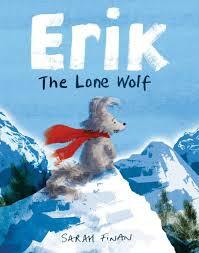 Erik loves his family – the wolf pack- but finds their rules overbearing and silly at times. Determined to be his own wolf, he leaves their protection behind and enjoys a life of thrills and spills until one day he lands himself in disaster…at the bottom of an inescapable crevasse. His experience trapped in the ice and subsequent rescue alters his aspirations of being a lone wolf and of family life. In spite of its icy setting, this is a heart-warming story of family love and appreciation, perfect for sharing with the little loved ones in your pack. Nearly every one of us and indeed every small person understands the enormity of losing something you cannot live without. For many young children, that something is their blankie or a version of it. When Lucy’s beloved Pinky goes AWOL, she is understandably inconsolable. Her grandma made that blankie. It has her special smell and feels just right. 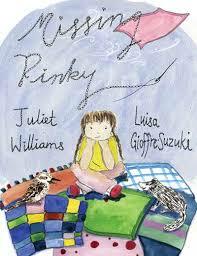 Lucy’s family rally to help her, each offering a new version of Pinky – Bluey, Brownie – but none can fill Pinky’s place perfectly. Until one breezy afternoon, Olive flutters into Lucy’s life. This is a gorgeous reassuring story of adjusting to change and finding new love with a delicious warm focus on those special grandparent child connections. Ideal for pre-schoolers and those of us still attached to their blankies. Bunny accompanies Suzy to bed each night, keeping vigil. With Bunny on watch, Suzy is confident the monsters cannot harm her. Until one night, just before dawn, Bunny goes missing. Suzy is frantic with worry but summons enough courage to mount a search for her beloved bedmate in the hazy predawn light. She witnesses what she thinks is a monster eating Bunny but transpires to be Misty, the cat, up to no good. 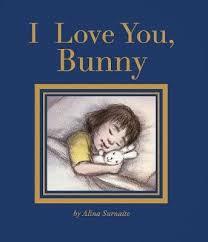 I Love You, Bunny is a considered soft approach addressing childhood fears and attachments that is superbly illustrated by Surnaite using charcoal drawings and digital enhancement. Worth snuggling up with as a bedtime read. Cheers Maria! Nice to share the love, as it were.